In the first of an occasional series of articles about specialist film equipment that offers the business film-maker an extra angle, we lift the lid on the Interrotron. The Interrotron (named by blending the words ‘terror’ and ‘interview’) looks very much like an autocue: the person being filmed looks directly into the camera through a two-way mirror. Instead of reading words being scrolled on the mirror the interviewee sees the interviewer. The typical set up for an interview has the interviewee interacting with someone off camera. The camera films them from the side. Consequently you never get to see into the eyes of the interviewee. There is always an element of the interview being staged. Whereas, the eyes tell the truth, they are the windows to the soul, staring, blinking flickering and communicating on a different level to the words being spoken. The best known example of the Interrotron in action comes from the 2003 Oscar winning film “Fog of War” where Director Errol Morris interviews former US Secretary of State Robert S. Namara talks about the Vietnam War. The easiest way to achieve this effect from a technical point of view is to use Morris’ example below, utilising autocue monitors and cameras. 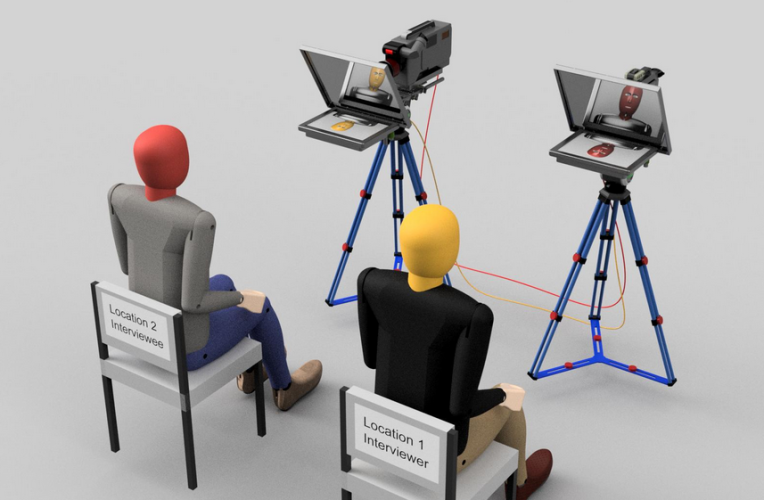 The interviewer (red) and the subject (blue) both view autocue units – A camera shoots the subject and outputs to the monitor in front of the interviewer. B camera shoots the interviewer and feeds the autocue unit on A camera. Interrotrons can be hired and operated by a competent Autocue operator. When McNamara looks into the camera he is responding directly to his interviewer staring straight into the camera’s eye and looking directly at you. The direct eye-contact is important, but key is the interaction between the two parties. Good interview technique leads to a natural and, in this case, passionate performance. The subject matter helps of course – it’s a subject bound to raise the emotions. 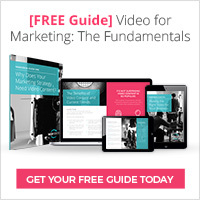 Customer Testimonials – are an important part of the justification stage (see our customer journey explanation here) – they help buyers understand what others, like them, think about the product or service they are about to buy. However, most people are not so good on camera, self-conscious and sometimes awkward. What the interrotron will allow is for a deeper interview where the vital few moments of testimonial you seek will stand a much better chance of emerging. The Expert View – these days more or us are becoming better in front of the camera as part of our professional duties. Nonetheless, there are many who aren’t so fluid. We may know our subject inside out and back to front and are great when explaining to someone face to face, but still there are too many clumsy strained subject matter expert interviews. The Interrotron offers a great opportunity to get them into their comfort zone and get the honesty that sells. Find out more how the Interrotron can help your business or enquire about getting an interview-style online video made, call us on 020 7733 4166.